Volunteers of America held a groundbreaking ceremony at Togus VA Medical Center in Augusta Friday on the Cabin in the Woods development. 21 Maine veterans and their families will have brand new, energy efficient cabins to call home when they're built. 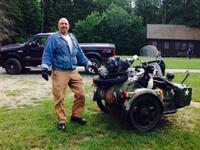 AUGUSTA, Maine (NECN) — Army veteran Joseph Robichaud says there's something therapeutic about being in the woods. "I like it out in the wilderness," he said. "It's quiet. I'm not a big person into the city. I like to keep to myself." Cabin in the Woods project for homeless vets starts construction at Togus Officials and veterans celebrated the start of construction of the long-awaited project to provide permanent housing for homeless veterans. Army veteran Joseph Robichaud says there's something therapeutic about being in the woods. "I like it out in the wilderness," he said. "It's quiet. I'm not a big person into the city. I like to keep to myself." Hundreds walk at Togus to raise awareness of homeless veterans The VA2K Walk & Roll event included a 1.2 mile walk and dunk tank, and many participants donated money or household items, which will help homeless veterans across the country. Construction to start on housing project for homeless Maine veterans The project will provide 21 cabins on the Togus campus of the state veterans' hospital. A Brunswick-based nonprofit will break ground Friday on a $4.2 million housing project for homeless Maine veterans on the VA Maine Healthcare Systems-Togus campus. 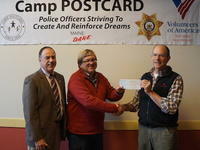 Tim Holland, retired Oxford County Sheriff, has been a Camp POSTCARD (https://www.voanne.org/camp-postcard) Leader for 14 years. He takes extra time to listen to the kids who might be left out. 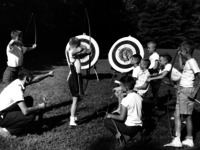 As a School Resource Officer, he pays close attention when referring students to Camp POSTCARD who would best benefit from a Camp experience. He is also a dad and neighborhood hero. 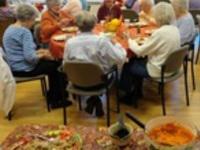 SACO — Since 2009, the Let's Eat program has helped seniors at Paul Hazelton House put fresh food on the table. 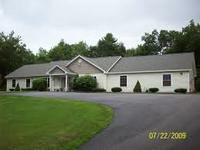 Paul Hazelton House is an affordable senior housing program run by Volunteers of America, Northern New England. The agency, with the help of community partners, through its Let's Eat program provides the 66 residents with a bag of groceries once a month that includes meat and fresh fruit and vegetables. Bangor Daily News, by Kristine Millard: Every summer since 1994, law enforcement officers from around the state have exchanged their uniforms for shorts and t-shirts to spend a week in an unlikely role: camp counselors. Smoothie Tuesday, Thanks Juice Plus! At the Maine Coastal Regional Reentry Center (MCRRC) in Belfast, Maine, everyone looks forward to "Smoothie Tuesday"
Listen here to the ​WVOM podcast about The Country Villa featuring Carmen Daigle, Melissa Morrill and Brian Sites. Lane grew up in poverty and suffered violence, abuse and addiction from childhood until his early thirties, when he was finally able to turn his life around. With the help of narrative historian Meghan Vigeant, Lane has written a compelling memoir that takes its readers on a wild roller coaster ride from despair to joy; from hopelessness to inner peace. 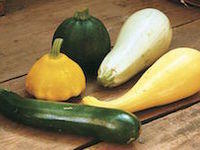 Preble Street and the Good Shepherd Food Bank have been working all year on a large scale collaborative research study about hunger that we're calling "Hunger Pains," the first and largest of its kind in Maine. We teamed up with Dr. Michael Hillard at USM to survey over 2,000 people at Maine food pantries, hold focus groups and in-depth follow up interviews. Officials from Chelsea and Volunteers of America have reached an agreement on taxes for the Cabin in the Woods project, clearing the way for a new type of housing for homeless veterans. Chelsea grants final approval for Cabin in the Woods project The approval clears the way for Volunteers of America to build cabins for homeless veterans on the Togus campus. Officials from Chelsea and Volunteers of America have reached an agreement on taxes for the Cabin in the Woods project, clearing the way for a new type of housing for homeless veterans. Homelessness happens in York County. Homelessness happens in York County. Help us find our neighbors who need help because everyone counts! Homeless Survey/Assistance Stations The York County Military Community Network will be helping the Department of Housing and Urban Development identify homeless individuals/families (Veterans and nonVeterans) to make sure that they are counted so that a fair-share of resources are sent to York County to assist them. Strive Northern New England, in collaboration with Volunteers of America, Northern New England and the Waldo County Sheriff's Office, recently graduated the Strive Fall Class of 2016. BELFAST — Restorative Justice Project of the Midcoast is seeking stable, compassionate and resourceful mentors for the populations it serves: youth (both male and female) who are taking responsibility for causing harm by participating in the RJP Community Resolution Program and men who will soon emerge from the Maine Coastal Regional Reentry Center and rejoin the community. On December 22, Volunteers of America was honored to have many partners join us for a check presentation from TD Bank and TD Charitable Foundation. Volunteers of America Northern New England has been awarded $100,000 from TD Charitable Foundation's Housing for Everyone program in support of our Veterans Housing program: Cabin in the Woods. 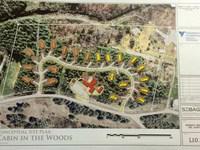 Veterans housing program to receive $100,000 grant The Cabin in the Woods, a 21-cabin facility on the Togus campus in Chelsea, is expected to open in late 2017. "We can't believe a program like this is being built. 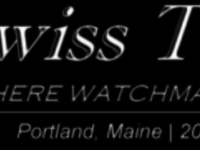 We need it in Maine. We need it everywhere!," said a WWII Veteran at a recent American Legion dinner, "Vets, especially senior and disabled vets, need and deserve our help. They put their lives on the line for us. We need to take care of them." These are words we are hearing everywhere as news spreads about a Spring 2017 groundbreaking for Cabins in the Woods. Set on 11 acres of secluded woods, Cabin in the Woods is a community with 21 privately situated one and two bedroom cabins that will provide permanent housing for homeless veterans and their families. Trick-or-Treating time recommended by Loudon Police is Monday from 5 to 8 p.m. Don’t forget to stop in and say “hi” at the Richard Brown House on Village Road. 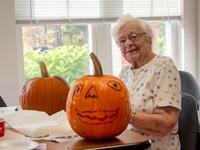 The residents love to see the Trick-or-Treaters! Loudon Elementary will have its annual Halloween parade on Monday at 2:15 p.m.. Stop by to see all the wonderful costumes. BIDDEFORD, Maine Nearly five hundred members of the University of New England community, including students, faculty and staff, participated in the university’s second annual Day of Service on Saturday, October 15. Participants were greeted by Biddeford Mayor Alan Casavant, Saco Mayor Ronald Michaud and UNE President Danielle Ripich before dispersing to more than 25 local non-profit organizations, where they spent the day volunteering. 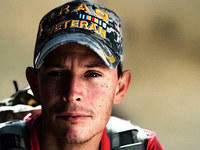 We are excited to bring you stories and from our Veterans Services programs. Stories of great resilience and strength, of hope and new beginnings. 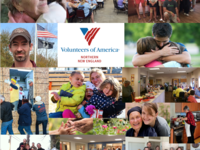 Volunteers of America is working hard to honor our veterans' service through programs that provide shelter and assistance for those in need as they work their ways toward independence. There are so many interesting and amazing things happening across the organization. 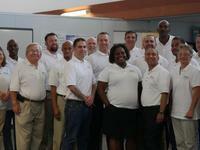 Highlighted this month is the incredible work being done in our Veterans Programs. The stories are full of compassion, hope, and independence. This is the story of Bill Marinelli, an incredible musician and Vietnam Veteran born in the 1940s, who lost his home and came to live at Volunteers of America's Huot House in Saco. This is also the story of a Steinway Baby Grand piano, built in the 1940s, whose family relocated to a smaller house, and found its new home at Volunteers of America's Paul Hazelton House, less than two miles from Huot House. Tracy Shaw lost her father, U.S.Army Veteran William Shaw, unexpectedly in December 2015. Heartbroken, she wanted to do something in his honor for other veterans, something that would have meant a lot to him. So Tracy and her husband got together with Mike Merrill, Volunteers Of America's program manager for Veterans Services. They learned about the Huot House (transitional housing for homeless male and female vets with supportive services) and Veteran's Career House (similar to Huot House, all male, with a focus on jobs training) and were very inspired by the support they offered veterans. 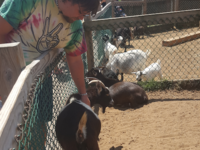 At the Maine Coastal Regional Reentry Center garden in Swanville, inmates transitioning from prison to community start at level one, where they are supervised, and work their way up to level four, where they are responsible for themselves, Waldo County Commissioner William Shorey said. As you have seen on the news, Baton Rouge and other parts of Louisiana have sustained historic flooding over the last several days with rivers still cresting. Janet Pace, CEO of Volunteers of America Greater Baton Rouge reported that her daughter and family had to evacuate and are safe, but some of the Volunteers of America staff have lost everything. Peaks Island Fund Awards Dinner was Amazing! The Peaks Island Fund Awards Dinner was held August 11 on a gorgeous summer evening. In the glow of the evening sun, Mary Toole (on the right), Committee member of the Peaks Island Fund, presents the award to Bill Browning and Marge Powers, Peaks Island Health Center Board Chair. 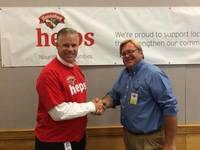 On Saturday August 13th, Hannaford held its first annual "Hannaford Rides" for Camp POSTCARD. 18 Motorcycles showed up on a chilly misty morning, but the riders didn't care that it was chilly out, they were there to support Camp POSTCARD and to have some fun with their friends and coworkers. The Volunteers of America (VOA) will receive more than $1.75 million in new Veteran Housing Grants from the Home Depot® Foundation. Since 2011, the foundation has given VOA nearly $11.3 million to improve housing for homeless veterans and their families. 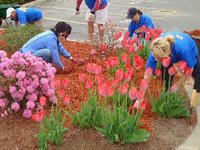 What makes Volunteers of America so incredible, as our National CEO likes to say, is that we are in the Love business. This is so obvious in the work we are doing in providing safe homes and hope for those we serve with severe and persistent mental illness. The quality of the care and the integrity of the clinical model is what sets us apart. Our clients are ordinary people who were out in the world, living with loved ones, getting up and going to work, supporting their families, enjoying hobbies, spending time with friends. They were a former legislator, a veterinarian, a master electrician, a boat builder, a teacher. Then one day, something happened. College and A Drivers License: A BIG Deal for DLSS! 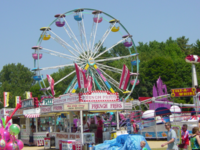 There's a major celebration going on in southern Maine. One of our clients has enrolled in York Country Community College and is getting his drivers license, two things "unimaginable" a year ago, according to Teresa Roberson, program manager for our Community Mental Health Services (also called Daily Living Support Services, or DLSS). Our dedicated staff has been working with this client for more than a year and we are all celebrating. The Sawyer Street House is at the end of a dead end street. It is a beautiful home with a large quiet backyard and lovely mature trees and gardens. You would never guess that the bustling city of Portland is just across the bridge. It is safe to walk in this neighborhood, without fear of traffic. Kathy moved to Sawyer Street House more than 20 years ago, before Volunteers of America bought the house. She tells us that since Volunteers of America bought the house, she has been very happy, and feels safe. 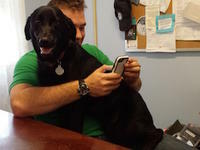 She lives her life just as she wants to, and considers our staff and clients to be her family. Kathy hears voices, and responds to them, but she hasn't been checked into the hospital since she moved here. "Hey, Did You Hear the One About..."
When we came to the back door of the beautiful house on Beach Street, and stepped into the bright kitchen, we were greeted by three men. One very shy gentleman, dressed in khakis and a button down shirt, looked up briefly and offered a quiet hello, then looked away. 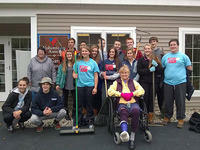 What makes Volunteers of America so incredible, as our National CEO likes to say, is that we are in the Love business. This is so obvious in the work we are doing in providing safe homes and hope for those we serve with severe and persistent mental illness. SACO – A monthly country jam at Saco Grange 53 has attracted the interest of country music aficionados, both players and listeners, for more than a year. Assistant stewart at the grange, Sandy Leeman, who organizes the jams on first Fridays, said a loyal following of musicians and fans gathers every month to enjoy performances of traditional country songs in a music-in-the-round format. Singers take turns playing a song of their choice and others may join in if they know the tune. 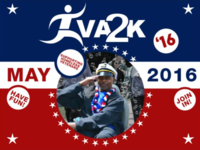 VA facilities across the Nation are once again holding VA2K walk and roll events on Wednesday, May 18th 2016. The VA2K is designated to help employees recognize the importance of exercise and nutrition and help them live healthier lives. Ken Darby, Brian Bouthot, and Mike Merrill (L-R) braved chill temperatures while standing outside from 9:00 - 11:00 Sunday morning waving flags and holding signs to welcome home our nation's Vietnam Veterans. Mike Merrill, Program Manager for our Veterans Services was one of the first National Veterans Resource Squad​ members to achieve certification as a Veteran Peer Support Specialist. The Booths, formerly commanders of the Salvation Army, organized Volunteers of America to spread the gospel message through "practical religion." Tied to the Booths' vision of salvation was a keen desire to provide material relief. The early Volunteers nursed the sick, fed the hungry, sheltered the homeless, and visited those in prison. 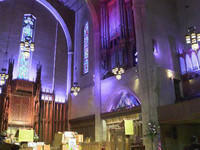 Founders Day Worship Service Streamed Live! The annual Volunteers of America Founders Day Worship Service will be held on Tuesday, March 8, 2016, at 11 a.m. Mountain Time at the Volunteers of America Colorado Branch Mission in Denver, Colo.
As you may know, the 1% service provider tax impacts every agency (including Volunteers of America) in various amounts. It is important, if you are impacted, to quickly talk to your Senators and Representatives to urge that they support a solution to eliminating the 1% service tax increase. Fay Garman House receives Kitchen Gardeners International donation! Kitchen Gardeners International has made a generous donation to the Fay Garman House garden project. 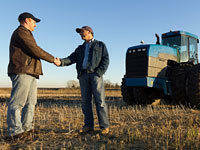 They teamed up with Seedmoney.org, a nonprofit crowdfunding site, to get the word out and raise extra funds. And it worked! With donations from Volunteers of America Northern New England employees as well as friends and family, Kitchen Gardeners' donation flourished, just like the gardens they will fund. We are thrilled to be in full swing with our Cabin in the Woods project. Friday January 12 we held a Roundtable Design Discussion. Groundbreaking is expected to be later this year with project completion scheduled for next spring/summer. 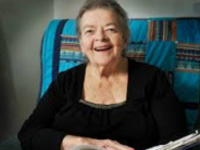 Joan Sheedy, longtime resident of Volunteers of America's Bayview Heights in Portland, is pictured here (photograph by John Ewing) with a scrapbook of articles, letters and awards she has collected over the 10 years she has been overseeing her Senior Snow-shoveling Project. The Project, founded in 2004 by Sheedy, provides free snow removal to Portland seniors and people with physical challenges. Volunteers of America Northern New England has received a grant from United Way of York County for the "Let's Eat" program; United Way has supported this healthy food initiative since 2009. In 2016 and in 2017, United Way of York County will provide $4,500 a year for monthly community meals and grocery distribution for 66 seniors living at Volunteers of America's affordable senior housing program in Saco, the Paul Hazelton Houses. Huot House Advisory Council threw a Great Party for veterans from the Huot House and the Veterans Career House. Vets from both houses were in attendance as well as the Advisory Council members and some past Huot House alumni. On Thursday, December 17, 2015, the Old Town Elks Lodge #1287 donated an American Flag with a stand to the Old Town River House which is an 80-unit independent living community that provides affordable housing for seniors and persons with disabilities. 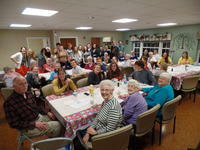 Brunswick High School filled a bus with students and drove to Augusta on December 2 to provide holiday cheer to residents of Volunteers of America's senior housing program, the Margaret Chase Smith House in Augusta. State Representative​ Ryan Fecteau of Biddeford, and State Representative​ Martin Grohman of Biddeford, along with Representative Stedman Seavey of Biddeford/Kennebunk and Lt. Col. (Retired) USAF Jennifer Fullmer of Biddeford all met at the Veteran's Career House on Thursday. Frank and his dog Rex are legends at Camp POSTCARD. Frank Toderico is a former police officer with the South Portland Police. From December 2 - 22, Every day we will post a new opportunity to grant holiday wishes and learn about our programs. See today's wish, along with all that came before by clicking on the link. Will You Help Purchase Grocery Gift Cards for Seniors? Every month in Northern New England, seniors wait for their social security checks to arrive. For some, this is their only income, and they must make difficult decisions between paying for food or keeping current with utility bills. Proposed veterans housing project at Togus awarded tax credits. The Cabin in the Woods project is one of five affordable-housing projects that will share about $2.9 million in federal low-income housing tax credits allocated by MaineHousing. 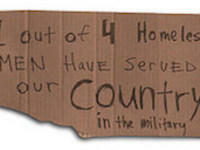 Will you help us provide transportation for a veteran to get to medical appointments? 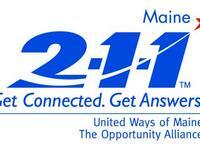 By last official count, there were 127,000 veterans in Maine. There are 15 vans that transport veterans to and from the VA Hospital at Togus. The vans cover the entire state of Maine, and are driven by volunteers who undergo more than a year of rigorous applications and background checks in order to qualify as a driver. Rave Reviews for Kathy Bulley! 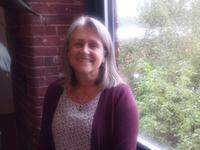 Kathy Bulley is the chef at our Northern Maine Regional ReEntry Center in Bangor. She gets rave reviews from all the residents. She is so amazing that even the federal auditors mentioned her rave reviews on our annual review. 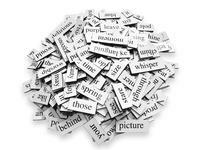 This Little Guide can be a Big help: Commonly Misspelled Words in Emails. By popular demand, here is a quick reference to correct usage of confusingly similar (but majorly different) words. In New England this time of year, daylight becomes scarce and temperatures can easily fall below freezing. Going outside requires more preparation and, once the snow flies, walking and driving can be treacherous. 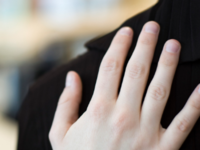 It's the time of year when people who have lost family members and friends get lonely. York County United Way recently invited Michael Merrill to speak about our Veteran's programs to an audience of more than 80 people at their quarterly meeting. Shortly after, LogistiCare in South Portland ​and Graftech/FMI in Biddeford brought hundred of dollars in food donations to our Veteran Services Program. 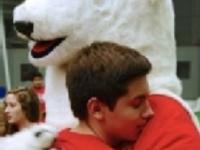 Miracle moments happen every day in Volunteers of America's programs. Sometimes they are subtle, like the conversations that happen during a community meal; and sometimes the grace of simple human kindness intervenes when we least expect it and the world gets a little brighter. 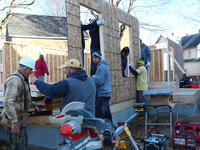 On November 14, fifty high school students got out of bed at five o'clock Saturday morning to help build a Habitat for Humanity house for a veteran and his family (wife and four children). In the spirit of Veterans Day, Major League Baseball Players Matt Barnes, Chris Iannetta and Ryan O'Rourke and Action Team Captains from New England will convene in New Hampshire to help Southeast New Hampshire Habitat for Humanity with a house-build for a veteran and his family. 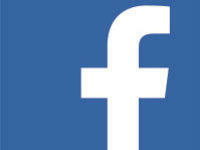 Facebook: to "Like" or not to "Like"
Facebook: to like or not to like. Many of our Volunteers of America staff and friends have enjoyed our Facebook posts and have even sent in posts for us to share, but lots of folks have expressed hesitation about "liking" our page or our posts, due to privacy concerns. From helping veterans find respite in programs, to easing their hurdles in search of a permanent, stable home with HUD-VASH vouchers (see below), Volunteers of America's Community Mediation Services is working on a pilot project with Maine State Housing Authority (MSHA). The project seeks to provide conflict resolution services and education to veterans who receive Department of Housing and Urban Development - Veterans Affairs Supportive Housing (HUD-VASH) Vouchers, and to the landlords who rent to veterans. 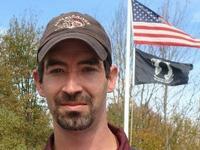 Steven McDermott is a program manager for Sawyer Street Behavioral Health Program in South Portland. He is also one of thirty people chosen in a national competition to be part of Innovation for Impact, a nationwide pilot program from Volunteers of America, designed to create a roadmap for identifying challenges and opportunities and tackling solutions. Michael Merrill, Manager of our Veterans' Services (third from right, middle row) was selected to represent VOA Northern New England as a member of the National Veterans Resource Squad (NVRS), a group of 17 affiliate employees who are also military veterans. 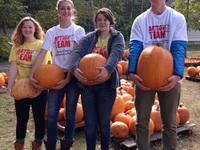 Action Teams At It Again...Brunswick High School Action Team members unloaded hundreds of pumpkins for Mid-Coast Presbyterian Church's Pumpkin Patch fundraiser. Fifty of the pumpkins went to Westrum House for a pumpkin painting fun day. Action Team members (left to right): Julia Rutherford, Aiden Sachs, Emma Hughes, Owen Rudalevige). In December they will provide Holiday Celebrations for Margaret Chase Smith House in Augusta and Bayview Heights in Portland. VOA Innovation for Impact is a new nationwide pilot program, designed to create a roadmap for identifying challenges and opportunities and for tackling solutions. Steven McDermott, Northern New England Program Manager for Sawyer Street Behavioral Health Program was chosen to participate in the discussions. Congratulations to Volunteers of America's Community Mediation Services (CMS) and Program Manager Elaine Bourne and for their award of a $12,000 grant from the JAMS Foundation. Each year, JAMS provides multiple simultaneous grants for up to two years to mediation centers working to develop programming in specific designated subject areas. In his inaugural address President Joseph McKeen said, "It ought always to be remembered, that literary institutions are founded and endowed for the common good, and not for the private advantage of those who resort to them for education." Meet Terry Baldwin, our new C.O.O. 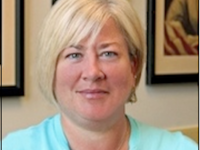 Terry Baldwin, Volunteers of America’s new Chief Operating Officer, loves an adventure. We learned that about her at our recent Sebago Lake employee picnic where she was one of the first to jump into a Frisbee toss. Mindy Bisson is a twenty year old woman from Biddedford, Maine who was born with Wolf-Hirschhorn syndrome. Wolf-Hirschhorn syndrome delays growth and development, causes intellectual disabilities and seizures. 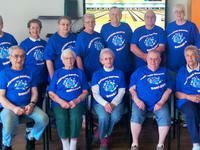 Three teams from the Volunteers of America-NNE senior apartment complex in Topsham participated in the National Senior League (NSL) Wii Bowling tournament. The internet based league has 1650 bowlers, 320 teams from 31 states. Bowlers average in age from 63 to 104 years old. Teams of four men or women bowl in different leagues based on skill level. Lawmakers on the Legislature’s Labor, Commerce, Research and Economic Development Committee on Thursday gave unanimous support to a bill that would provide up to $1 million in state funds to help launch a project that would build up to 21 cabins for homeless veterans. 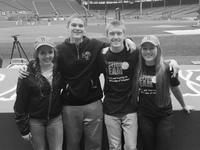 A week ago, 18 Brunswick High School students were among a group of nearly 40 being recognized for their volunteer efforts throughout the school year — taking in a Boston Red Sox game at Fenway Park in Boston, Massachusetts. All the students were members of Action Teams, a national youth volunteer program sponsored by Major League Baseball Players Trust and Volunteers of America.